Dandruff is one of the most common problems for both men and women of all age groups. There are many reasons for dandruff in the hair. Increasing dandruff can result in hair loss and other infections. It is very important to prevent dandruff properly. There are few home remedies to prevent dandruff effectively. 1. Fenugreek seeds ( methi seeds ) for Hair: Methi seeds are rich source of iron and vitamins. Fenugreek seeds are considered one of the best remedies to hair loss and dandruff. Soak 2 spoons of methi seeds in the water overnight. Drain the water, grind it to paste. Apply methi seed paste to the hair and wash it after 30 minutes to prevent dandruff. You can also add this paste to henna. 2. Add lemon juice and almond oil to curd. Apply this mixture to hair and wash it after 2 hours. 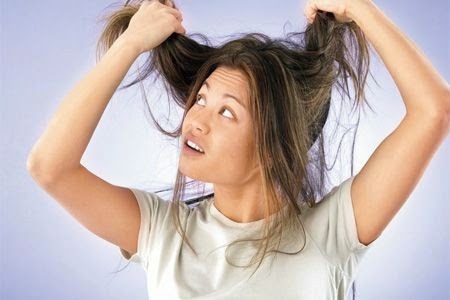 Doing this frequently will help in removing dandruff completely and will give you strong hair. 3. Boil curry leaves in water. After a head bath pour this water over head. Do this procedure for two weeks to get relief from dandruff. 4. Grind (Basil) Tulsi leaves and add amla (Indian Gooseberry) powder to it. Apply this paste to scalp and wash it off after drying. Apply aloevera gel to the scalp. Clean it after 20 minutes to stop dandruff.